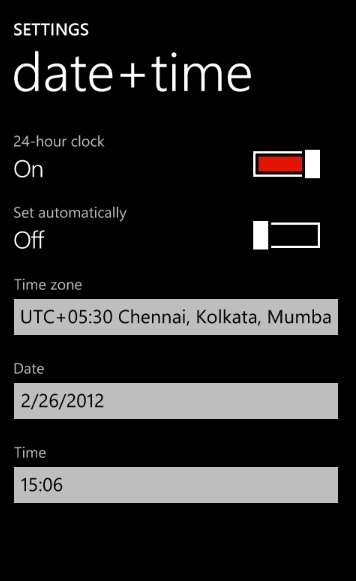 The Windows Phone users can set the time zone via the Settings -> Datetime Form in the Windows Phone. If you want to retreive this information (Timezone) , you can use the TimeZoneInfo.Local property that is defined in the System.Security NameSpace . Do you know if I can set the application’s time zone? I have a server-client application and want to use the server’s time zone. Converting all date’s from one to another creates additional code. Application is intended to use only server’s time zone.